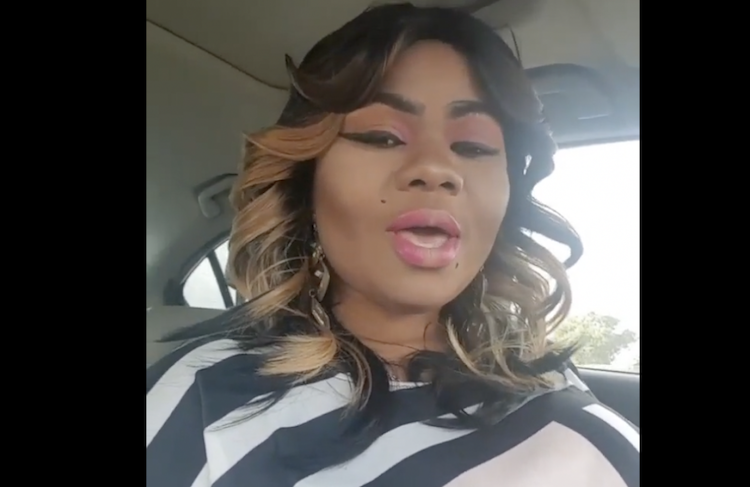 Ghanaian Gospel musician-Gifty Osei waked up over night to become the twin sister of popular US rapper-Lil Lim—except that the accent transition was not complete when her husband jumped over her to take away from her sleep. Now, Gifty Osei can easily travel on Lil Kim’s stolen passport and no one would even notice it. Of course, unless when she opens her mouth to speak—because she sounds like a type zero alien that just dropped from Pluto. In the wake of Gify Osei’s sudden change of complexion and accent, social media has been talking and the radio stations have intervened, looking to find out what Gifty Osei has to say.